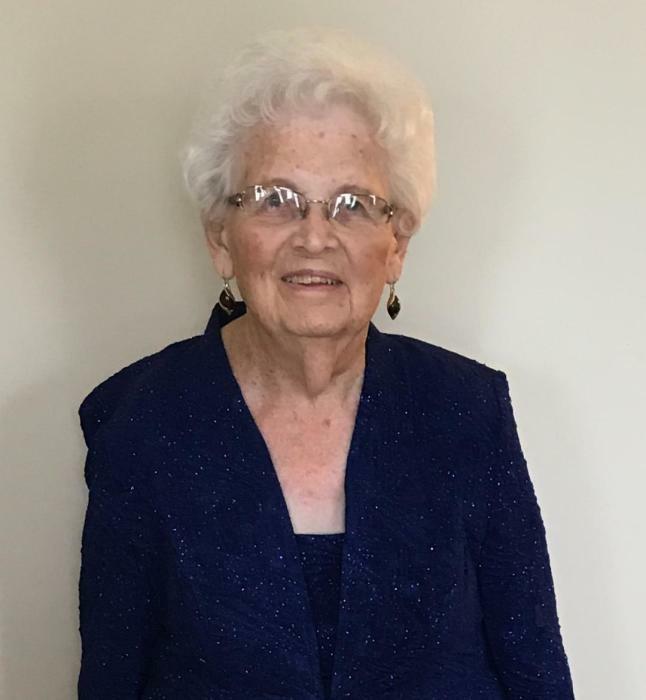 Cornelia “Connie” C. Dries, 89 of Litchfield formerly of Hoylton, passed away at 12:30 a.m. on Thursday, April 11, 2019 at Heritage Health Center in Litchfield. She was born on July 22, 1929 in Hoyleton, the daughter of Arthur and Emma Prueshner Maschhoff. She married Eugene J. Dries on September 4, 1949 at Trinity Lutheran Church in Hoyleton and he passed away on August 8, 2016. Also preceding her in death were her parents and 3 brothers; Leonard, Lester and Wallace Maschhoff. Left to mourn her passing is her daughter; Kathy “Kate” Poirot and husband Dr. Chris of Litchfield. 2 grandchildren; Kelly McClintock and husband Eric and Christopher Poirot and wife Amanda all of Chicago. Sister in law; Marlene Kahre and husband Norman of Hoyleton, brother in law; Allen Dries of Asheville, NC along with nieces and nephews. Mrs. Dries worked for the Candle Factory in Irvington and Country View Manor Nursing Home in Irvington for many years as their director of housekeeping services. She was a faithful member of the Trinity Lutheran Church in Hoyleton where she served on several committees. She enjoyed volunteering for the bible school and the blood bank. She was also a member of the Hoyleton Women’s Legion Auxillary. Mrs. Dries enjoyed baking, gardening, spending time with her family, especially her grandchildren and many dear friends. Funeral services will be held at 11:00 a.m. on Tuesday, April 16, 2019 at Trinity Lutheran Church in Hoyleton with Rev. Nathan Wollenberg offficiating. Burial will follow in the church cemetery. Friends may call from 9:00 a.m. until service time on Tuesday at the church. Memorial contributions may be made to Trinity Lutheran Church, Zion Lutheran Church in Litchfield or St. Francis Hospital of Litchfield. Styninger Funeral & Cremation Chapel in Hoyleton is in charge of arrangements.